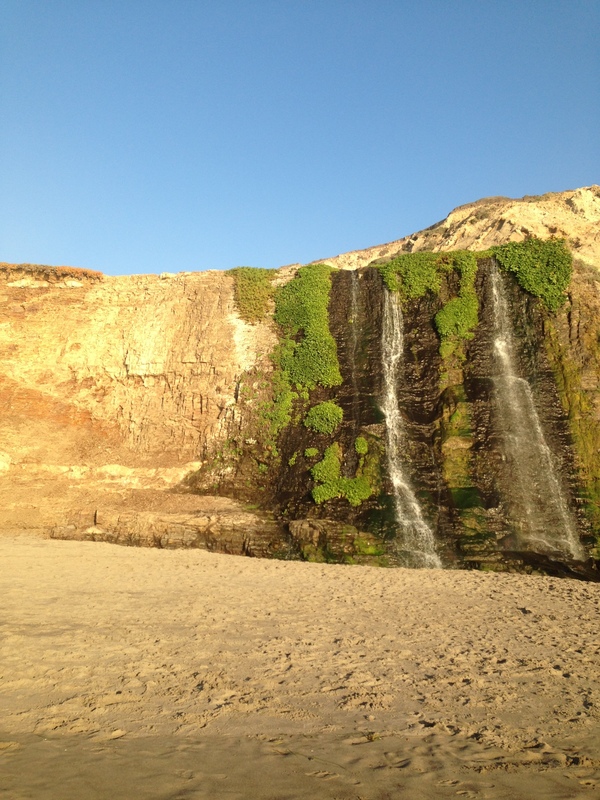 Guest Post: Big C and Lil’ C take on Point Reyes! It is your lucky day, Ladies and Gents! My best friend, Chels went away for the weekend to Point Reyes with her main man and she has agreed to share their experience with all of you! A little introduction on Chels – We have been friends since 2010! Woohooie started as roomies and now I can’t imagine life without her! 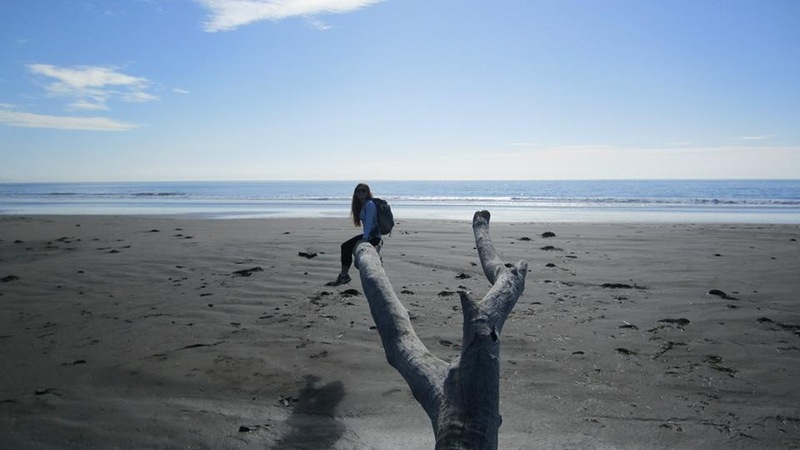 She is currently working, living and laughing in the South Bay and loves exploring the Bay Area! Plan for full days of exploring and trekking!! Be prepared to be ON YOUR FEET! Restaurant suggestion: Farm House Restaurant – I got the Grilled Ranch Burger, Niman Ranch Beef topped with Farmstead Blue cheese and avocado! BigC, he got the crab sandwich was a special for the evening…let me tell you, that crab tasted like it was just caught that same day! Mmmmmmmm. So this trip came about when I expressed to BigC, my longtime boyfriend of almost 5 years (wow, that’s a long time–but is has truly flown by! ), that I missed my Southern California roots and that I was in desperate need of a coastal trip. On that note, for my birthday he got me a trip up to Point Reyes, but suggested we go sometime in January to see the whales migrate down the coast to Baja, Mexico. Let me tell you, I had been anticipating this trip since September!! 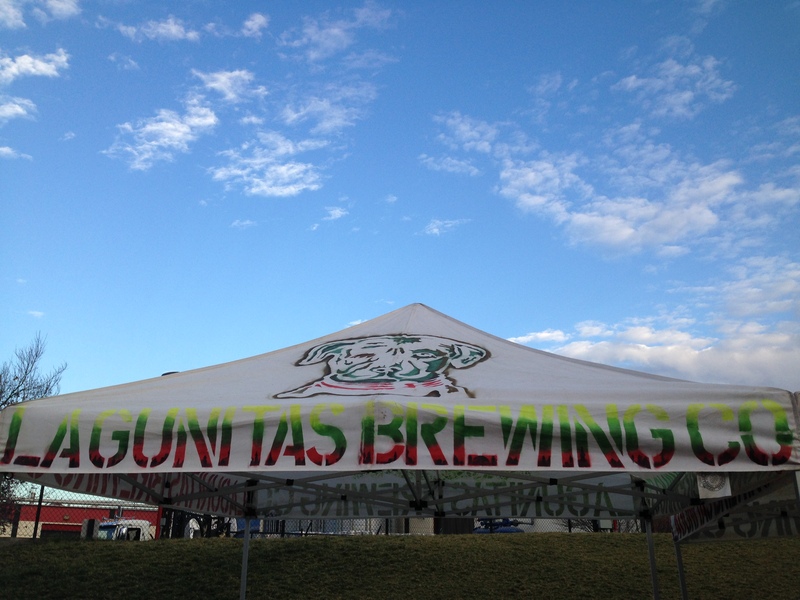 Anyway, we both took this past Friday off from work and detoured up to Petaluma, where our favorite brewery resides, Lagunitas! We were so ready for the weekend that we were ready to indulge in the Around the World Flight, featuring 16 beers, but were advised we should maybe take it easy since we planned on taking a tour through the brewery, where they served 5 more samples! 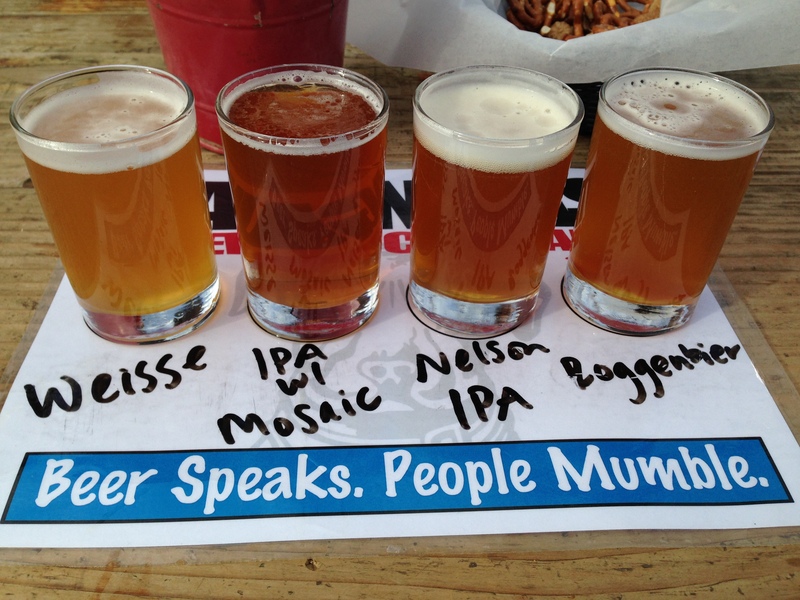 So we listened and each got a flight of four beers – mine were IPA variations, of course! 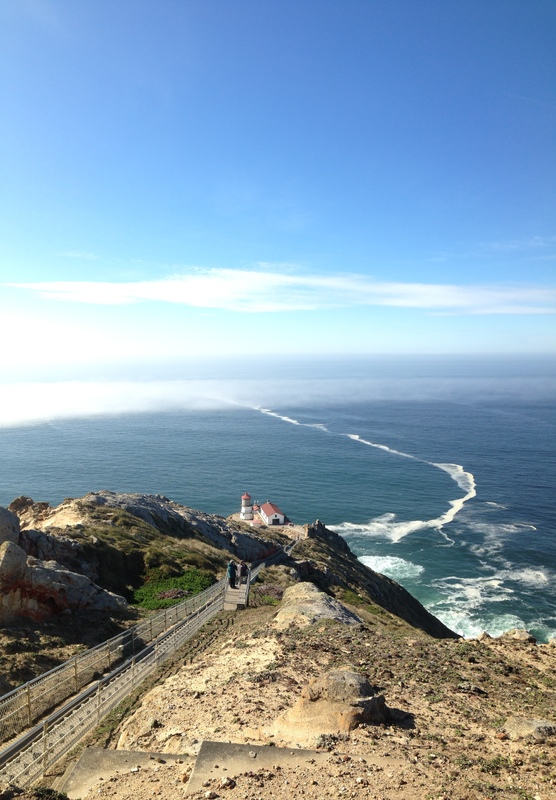 Saturday we woke early to head out to the Point Reyes lighthouse and whale watch. We were staying in Olema, at the Point Reyes Seashore Lodge (pricey, but quaint, not to mention the trail head to endless hiking!!). However, a bus had broken down in the middle of the main road and ruined our chances of whale watching anytime soon – they bus tourists in and out from Drakes Beach (Kenneth C. Patrick Visitor Center) to the lighthouse as Winter is actually the peak tourist season due to whale watching! Who would’ve known!? Anyway, instead of waiting around we hit Drakes beach and walked along the coast, climbing on huge branches of driftwood (all were too big to take home and decorate with ceramic flowers unfortunately), watching an elephant seal sleep – we thought he was dead, until we finally headed back to drive out to Tomales Point. Tomales Point is the upper peninsula of the Point Reyes coast, and the only way to physically get to Tomales Point, is park at Pierce Point Ranch and hike in 4.7mi Tomales Point Trail! Remember, this is one way only, so really a 9.4mi trip and then some if you find your own private beach like BigC and I did;) This was a wonderful hike, unexposed to the salty air as the ocean and Drakes Bay surround you at all times – oh and the Tule Elk! Don’t forget that sunscreen though! I rocked SPF70 and still got toastyyyy! But let me tell ya, this hike was one for the bunzzz, man we’re we hurtin’ on the way back! Saturday night we had an intimate dinner at the Farm House Restaurant (also a bar – so yes, if you need to watch your OKC basketball you’re all good!) and indulge after a long day. Sunday the plan was to wake up at 7AM and hit the Coast Trail to Alamere Falls (yes Falls means WATERFALLS!! ), however we were in pain from the previous day’s hike and a 8.2mi hike sounded daunting. So, instead we made it out to the lighthouse and climbed the 300+ steps down (and back up!) to the lighthouse – take about a bunz burner!! And of course we got some whale watching in – we spotted a whole 5 grey whales on their journey south! They were breeching and frolicking – tails and all – it was pure excitement. At this point our muscles had warmed up and we were ready to take on Alamere Falls. We packed some snacks and started along the Coast Trail (Mesa Road trailhead) which literally hugs the coast before turning inland to pass two lakes (one had a rope swing which I imagine would be perfect during the summertime) and finally reach the falls. Climbing down right alongside the falls was exhilarating to say the least. The trail leads to a plateau full of flowing baby falls which drop off over the cliff down to the beach. We immediately climbed down (careful – loose rock, bring shoes with good grippies!) to the beach to take in the setting sun and plummeting falls. This was pure heaven. We took it all in, savoring every minute – sometimes, you have to stop and live in the moment, enjoy the present before it passes you by. Thank you Chelsea!! I can not wait to visit PR! Looks like you had a great time! !